November 11 marks a sombre time of year. A time where we remember those who have served; those that have fallen; those who have watched others fall. Each year, millions across our beautiful country, congregate around silent monolithic stone sentinels. These simple structures are cenotaphs, and they stand on perpetual guard as reminders of efforts taken long ago. While a cenotaph is supposed to represent an empty grave, lying in place of those who have fallen, it represents so much more. They exist to commemorate the sacrifice, the service and the result of both: peace. A peace that was hard fought; hard won. A peace that was not necessary to our way of life, directly at the time of the quarrel. But a peace necessary to us nonetheless. 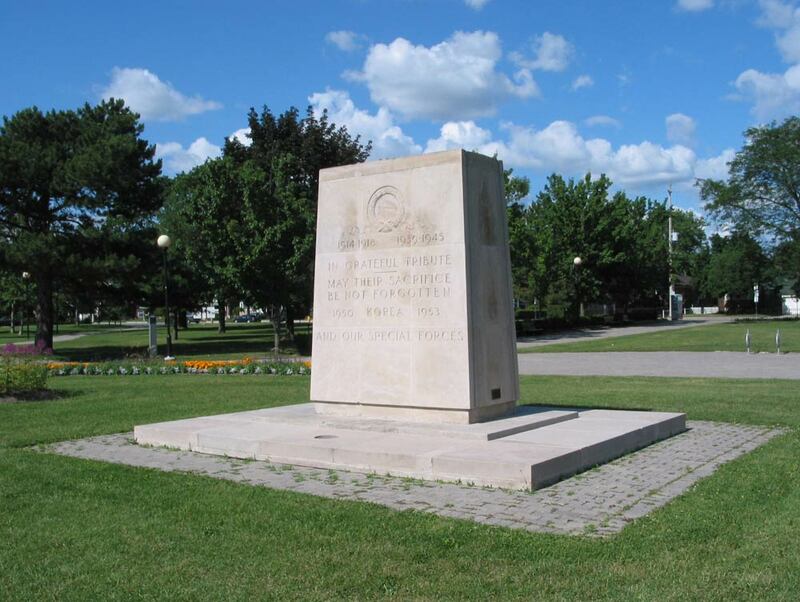 In Canada, it is almost a given certainty that a cenotaph stands in every city and town. It is an icon to which we pay respects. While its shape, its artwork, may vary from place to place, its meaning never changes. There is no way for us to light our own way. We have endured by following the torch carried by those before us. It does not necessitate being pointed out but the cenotaph is not the singular icon by which we pay respect. In Canada, it is very much joined by two other iconic pieces of artwork: the poem and the flower. The flower, a red poppy, has a distinct significance as it relates to Remembrance day. It signifies the wearers need and desire to pay respect to those who have served, fallen and come before us, so that we may know peace. However, the red poppy has come under attack this year. While not a new idea, the white poppy has made a resurgence in popularity with those who do not seem to grasp the meaning of the red poppy. They are claiming that it glorifies and romanticizes war. That its colour represents the results of battle: spilled blood. In fact, if anything the white poppy, despite it’s supposed claim of representing peace, is actually a disgraceful and offensive symbol that trivializes everything the red poppy represents. Truth is, the Red Poppy has significance that I cannot even begin to cover. It represents all the things mentioned above that a cenotaph represents. They became the symbol they are not because of the tragedy that befell the fields they grew in, but the result of those tragic circumstances coming to an end. They grew up and out of the soil disturbed by battles that raged across their meadows. The fact that they are blood red, is merely a coincidence. As much as Mr. Wilson’s statement highlights the absurdity of the white poppy, I am not afraid to take it further. The simple fact is, the offensive nature of the white poppy is on par with those that protest at funerals, because quite frankly that’s exactly what you are doing when you put on a white poppy. You know what kind of person protests funerals? These people. As unfortunate as it is, we must contend with the reality that peace is the result of war. But it is not the only result of war. The fact that I am able to share my words on this matter… I have war to thank. Do not confuse my statement for a veiled glorification of war for it is not. It is a glib reflection based on the case of many modern conveniences being developed from war-time needs. Television, Radio and Cellphones; Computers, Circuitry and Components; Plastics and Textiles… all of these were developed either directly or indirectly because of technological development during war-time. So, as a lover of technology, a descendant of someone who experienced WWII, a civilian instructor and former cadet in the Royal Canadian Air Cadets – I have much to thank and pay respect to. This is why I proudly display the red poppy on my lapel every year. The red poppy is our torch; be it ours to hold high. This entry was posted in Critical Thought, Future of Technology, Writing and tagged Canada, Canadian Forces, cenotaphs, empty grave, faith, fallen, glory, John McCrae, monolith, Papaver rhoeas, pay respect, poppies, power, red poppy, remembrance, remembrance day, respect, Royal Canadian Air Cadets, royal canadian armed forces, served, vigil, vigilant, World War II. Bookmark the permalink.